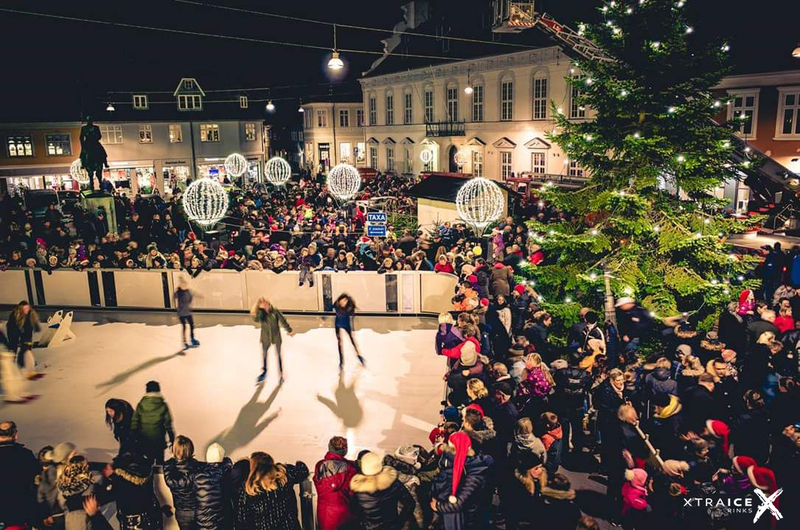 Not only does it promote local tourism, the advantages that an ecological ice rink can bring to your town or city are many. Amongst these advantages, the increase in local business, the energy and financial savings as the environment protection. Municipalities, event companies and shopping malls have bet on our rinks both renting or purchasing instead of conventional ice rinks. The installation of this type of attraction has numerous benefits for the hosting cities. This is why. Stimulates the city or town: it attracts people of all ages, becoming the main leisure activity in town. As well as families and towns nearby. Sustainable tourism: Ecological ice rinks save water and energy compared to conventional ice rinks. A 200m2 Xtraice rink saves 16.800kw, 19.980 Liters of water and 5,52 tons of CO2 emissions to the atmosphere. Increase the local business: the increase in local tourism benefits local businesses. Media support: local and regional media will cover this initiative and post articles, which supports the local tourism. Hiring of local citizens: as the rink requires technicians for it´s operation and maintenance. Cost effectiveness: besides the entry tickets to skate, you can obtain revenue by advertising on the barriers and renting accessories. Energy savings: maintaining a traditional ice rink can cost around 5.000€ monthly in water and electric bills while the maintenance of Xtraice rinks is at zero cost. Therefore there are large savings. Easy set-up: Xtraice ecological rinks can be installed and taken down in just one day and do not require any specialized technicians. High visibility for your company. Many cities have already chosen to instal this type of surface. Xtraice has references around the world, and just this year, we have installed over 200 rinks in 90 countries on all 5 continents. Are you promoting your local tourism? Request your quote here!